We’re off, but I’m no sure I can stand the excitement. 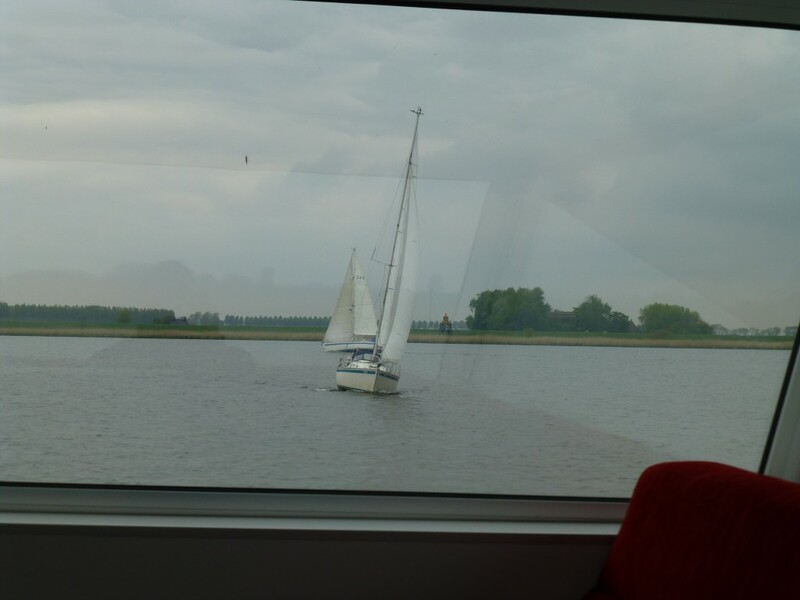 It was a long holiday weekend in Holland so there were plenty of sailboats out. Even though Rabelo is a powerboat, on inland waterways we have right away over sailboats. I’m not sure they know that. Our first stop was Den Weil. 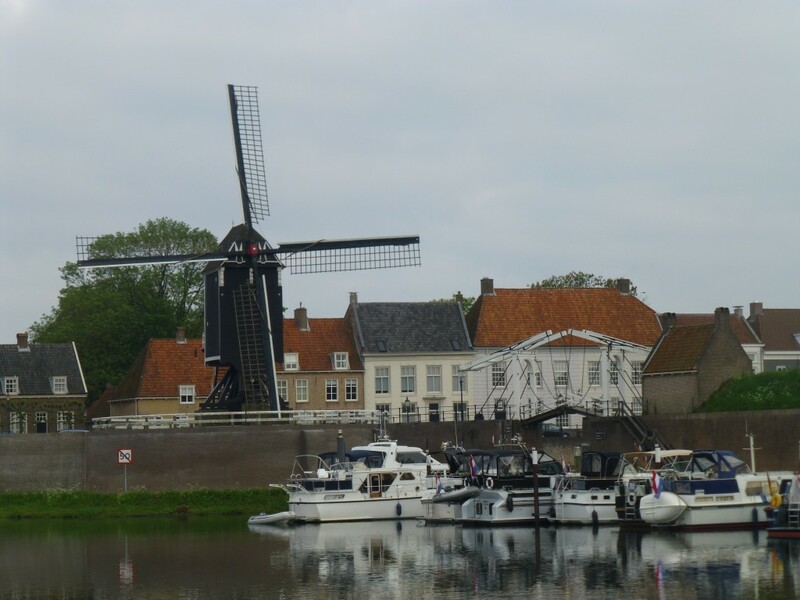 This lovely little Dutch town brought back so many memories. 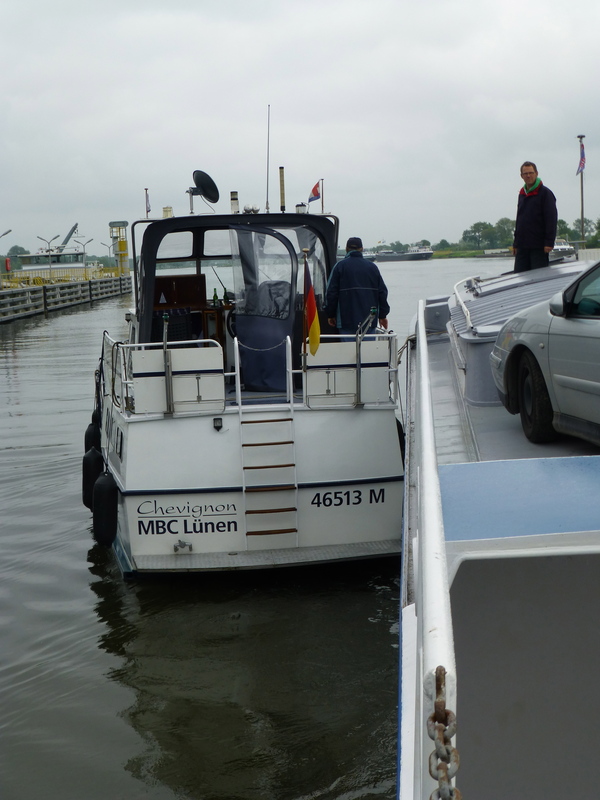 It was also the first stop we made when we set out on our barge Tigrerose eleven years ago. Sunday morning Wilco checked the engine room and discovered our main engine was low on oil. Normally we have plenty of extra oil onboard, but it in our mad scramble to leave it was left in the shed. 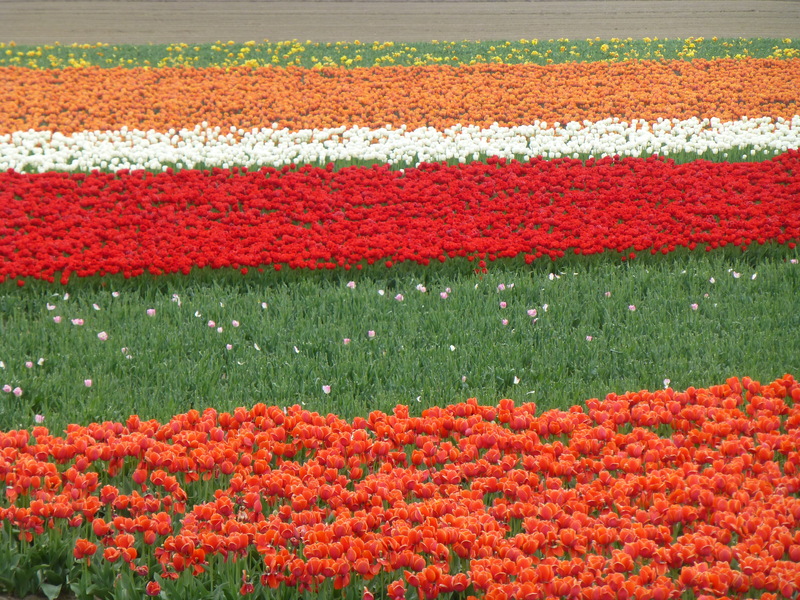 Wilco called the guys bright and early Sunday morning, for which I am sure they will be forever grateful, and ask them to bring us some oil. 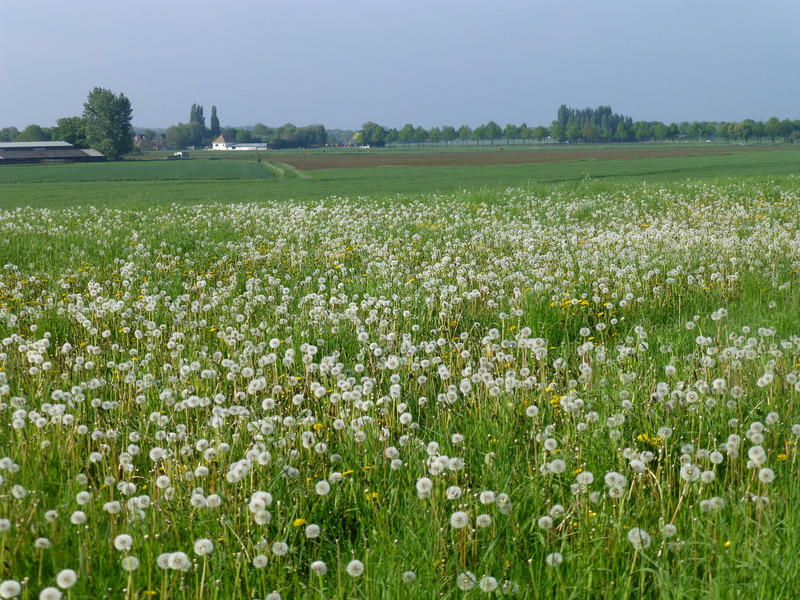 There wasn’t any in Den Weil. By now I was starting to get used to driving Rabelo. Remember we added fifty tons of ballast over the winter along with changing the steering from direct drive to a hydraulic system, which acts like power steering in a car. We also changed out the gearshift and throttle levers. There is now a single lever that is connected to a microprocessor or small computer. The microprocessor sends signals to electric actuators that actually shift the transmission or advance the throttle. Driving Rabelo is like driving a new boat, albeit a much easier boat to maneuver. 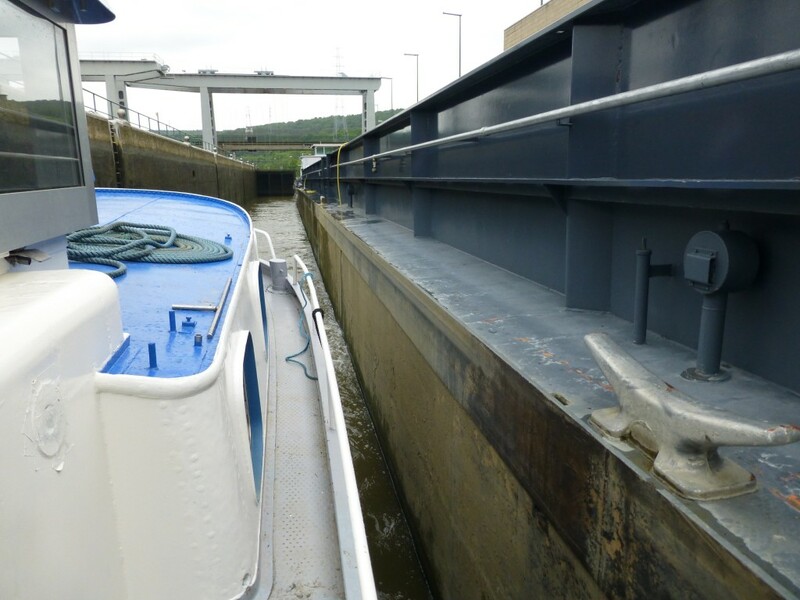 “This German couple lost their engine in the lock so we gave them a tow. Maybe some good karma will come form our good deed? 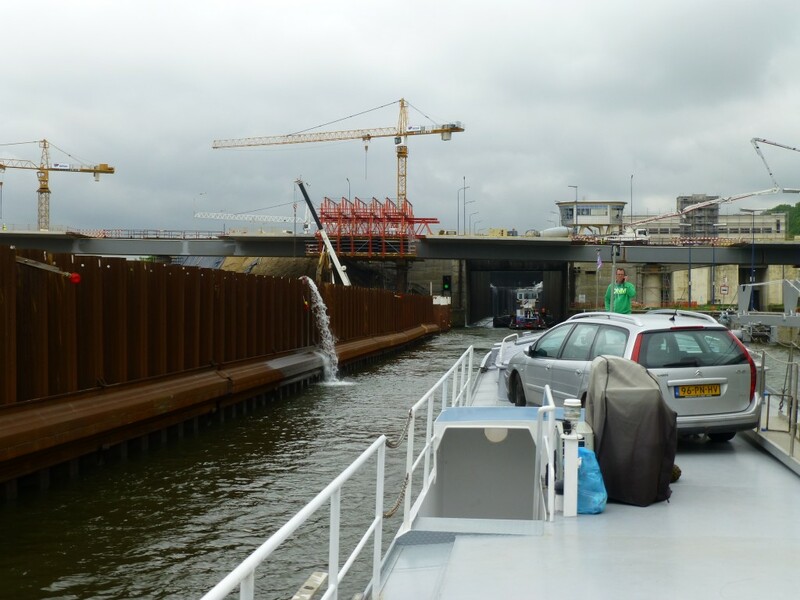 We took on 3,500 liters of fuel in Maastricht and headed for the Belgium border. We’ve had lots of rain, and the rivers are getting close to flood stage as the current continues to build. The harder I pushed Rabelo the slower she went. 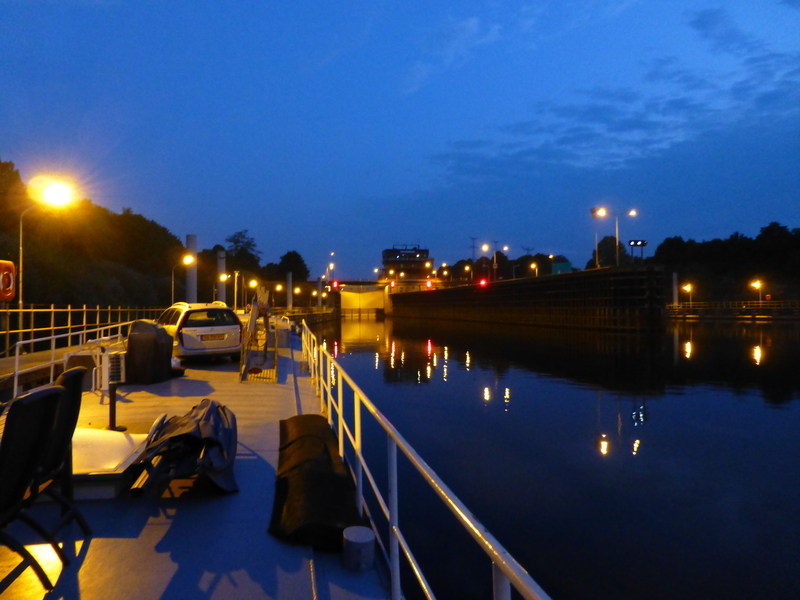 It was getting dark, and we had just passed under a narrow bridge. All of a sudden our lights went out. That was bad enough. A couple of seconds later the electronic throttle went to idle and the electronic gearshift placed the transmission in neutral. I had lost all power. There was nothing I could do. Our 24V electrical system had failed. The microprocessors automatic last command was idle and neutral. It was time to panic, tear your hair out, run around screaming at everything and everyone. Actually panic was the last thing I needed to do. I instantly headed for shore in hopes that we could find something to tie too. There was nothing to grab. Rabelo had lost all momentum and was starting to drift back into the bridge we had just past. I yelled to Wilco to drop an anchor. In a matter of seconds the rumble of anchor chain echoed through Rabelo’s hull. Would the anchor hold in that raging current? It took a few seconds, which seemed like hours, but eventually our 1,250 pound anchor gripped the bottom and stopped us from hitting the bridge. The skies were darkening. We didn’t have lights, and we were blocking the channel. What next? I looked to our stern and there was a 300-foot fuel barge coming right at us. The movie Blazing Inferno instantly came to mind. 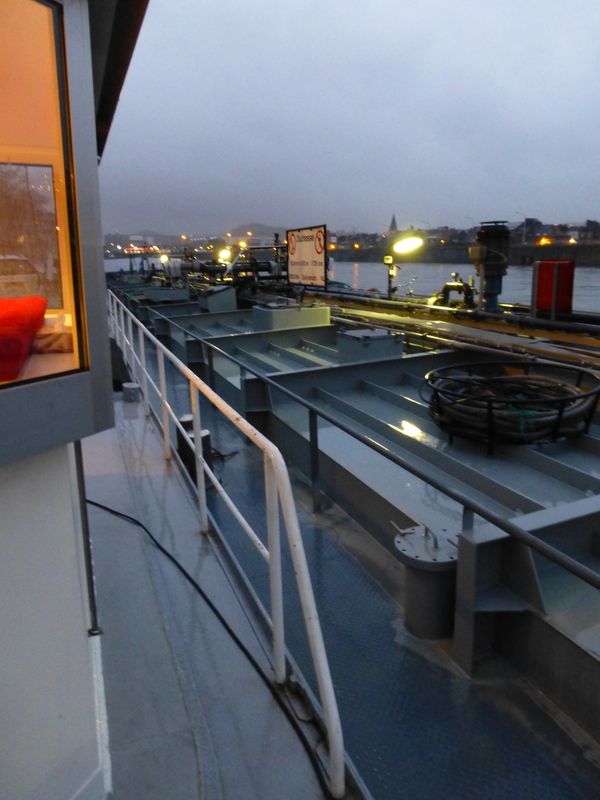 We pointed our flashlights at the fuel barges pilothouse in hopes the captain would see us. 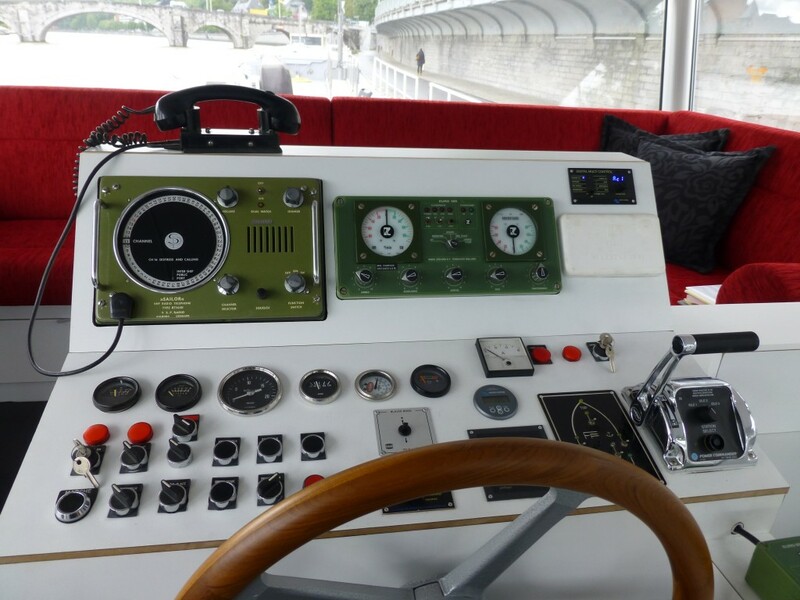 The two guys running the 1,726-ton Duchesse couldn’t have been more skilled or nicer. The captain maneuvered his giant barge along side Rabelo in a raging current while his crewman tied us along side. They then helped Wilco work on getting our power back so we could raise the anchor. It took almost an hour, but we got the anchor up. 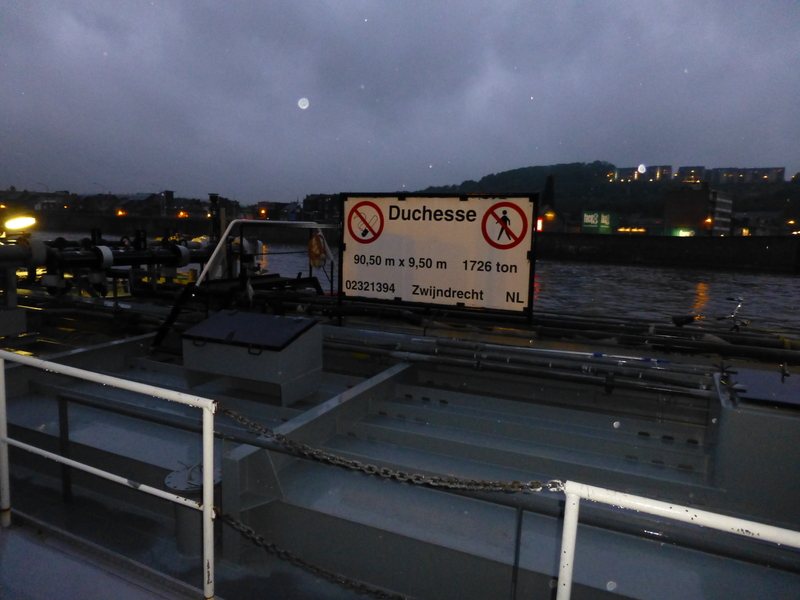 Duchesse towed us to the next lock where she set us alongside a wall without a bump or scratch. We thanked the Captain and crew profusely, and yet they made it sound like it was all in a days work. We will be forever indebted to the crew of the Duchesse. Thank you once again!!! In our haste we didn’t even have time to get the captain and crew names, but we did give them two bottles of champagne.